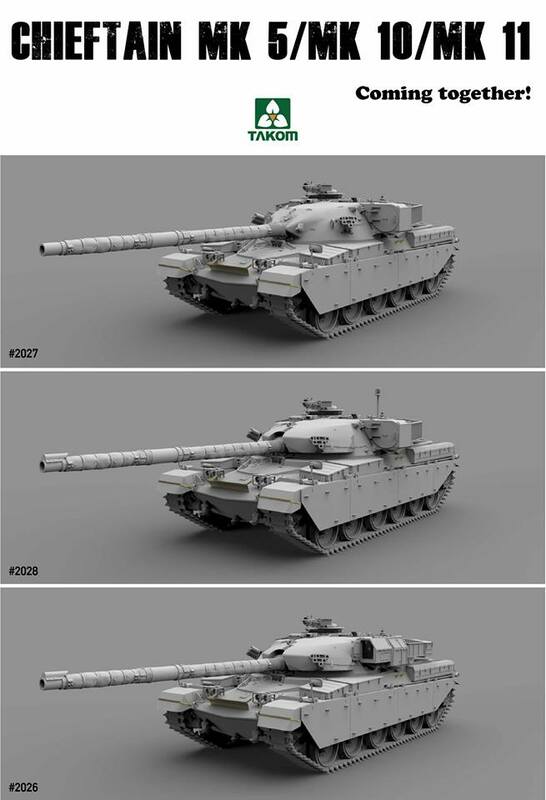 That Takom will be bringing us Chieftain(s) is not necessarily a news by this time, though exact information was lacking until today. Takom has released pictures confirming that 3 (at least) versions will be coming hopefully soon. Well, It’s about the time, that ancient Tamiya kit rightfully belongs to the museum. Modern British armour fans rejoice!